Is your website currently hosted with Adobe Business Catalyst? We are extending the End of Life timeline from 2 years to 3 years, with the end of life now scheduled for March 26th, 2021. We hope this additional year will give our valued customers and partners sufficient time to move clients to a different platform. Thank you for providing your feedback and insight. We know this is a difficult transition and are committed to help you succeed in the effort to migrate your sites to new platforms. You can read the full statement from Adobe regarding the End of Life announcement for Business Catalyst here. Adobe recommends that their customers migrate to another CMS well before the 2021 deadline. Adobe will only retain customer data until March 26th, after which the data will be deleted and websites hosted on Business Catalyst will be made inaccessible to site administrators. If your website is hosted with Business Catalyst, then it is time to start planning your migration to another content management system. Leaving your CMS migration to the last minute could result in the loss of valuable data, customers and leads for your business. Not sure which CMS will suit your requirements? 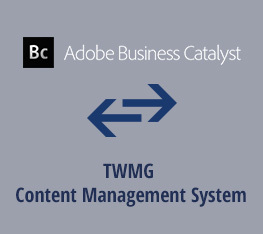 The team of CMS experts at TWMG will help you choose the best content management system for your business, create a comprehensive migration strategy, and effectively transition your website to the new CMS. We have years of experience working with the latest content management systems including Kentico, Magento, Drupal and WordPress. Contact The Website Marketing Group today, or give us a call on 1300 911 772 to learn how we can help you successfully migrate your business website from Business Catalyst to a CMS tailored to your needs.